Opening Reception – April 28, 2:00-4:00 PM with welcoming announcements and talk 3:00. Chucumite Incredible Live Jarocho Music! Plus - Appetizers and Wine. Benefit your arts community! 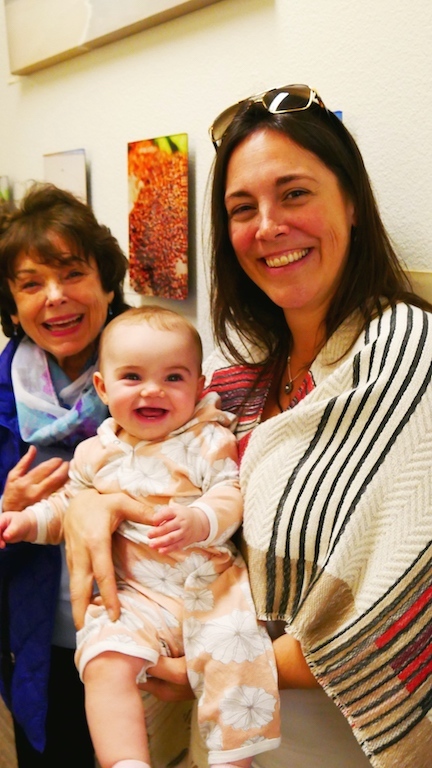 This is the eighth year that the Jewish Federation’s Bronfman Family Jewish Community Center will host the Santa Barbara Printmakers, a non-profit organization dedicated to printmaking as an art form. Printmakers are artists who use hand and press printing techniques such as etching, dry point, monotype, mono print, woodblock, collagraph, linocut, clay, lithography, serigraphy (silkscreen), transfer, and digital programs to create unique, one of-a-kind prints as well as editions of identical images. the California Central Coast. 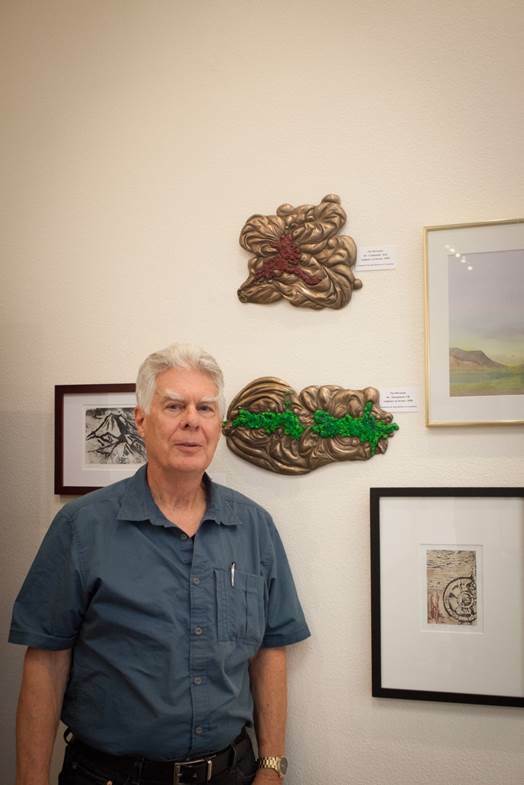 It includes recent college graduates, established artists, and returning artists—all dedicated to artistic exploration and expression using a variety of printing techniques that range from traditional to contemporary. For more information, go to sbprintmakers.com or jewishsantabarbara.org, or reach the above contacts. 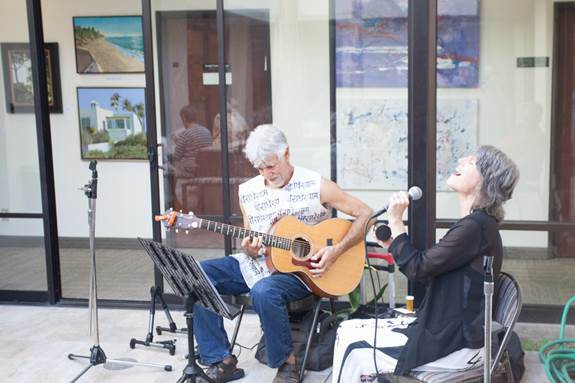 A portion of every sale supports the artists and Jewish Federation programs. Please call for best gallery viewing hours and/or for inquiries regarding art sales and personal guided tours. 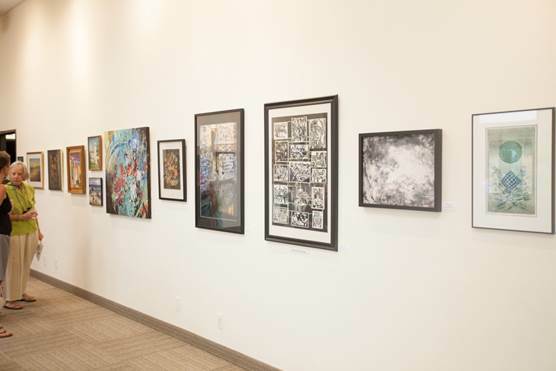 Art at the JCC is located at the Bronfman Family Jewish Community Center, 524 Chapala Street, Santa Barbara, CA 93101. Monday-Thursday from 9:00 am-5:00 pm; Friday 9:00 am-3:00 pm. Closed weekends. 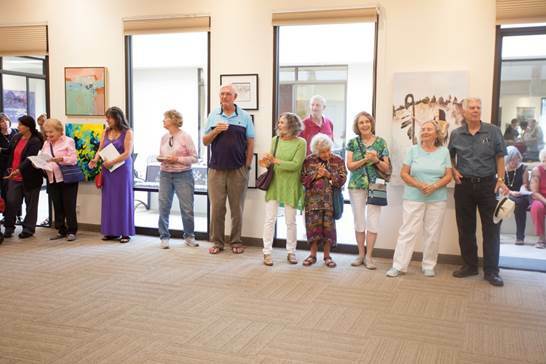 Please call in advance of your visit, as the gallery is often used for classes and events, (805) 957-1115. Exhibit is open to the public. Free admission. 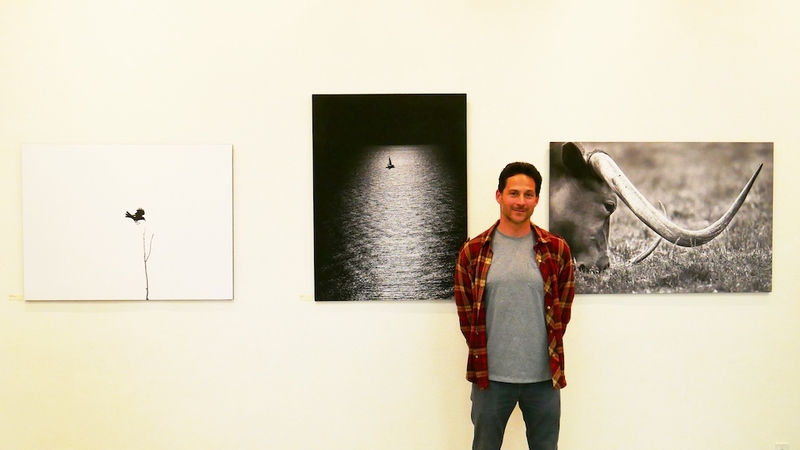 Artist and collector Eli Luria (z"l) launched Art at the JCC in 1999 to provide high-caliber, strongly-themed exhibits for the Santa Barbara community. The exhibit openings often feature gallery talks and panels with artists, curators and collectors that draw lively crowds. 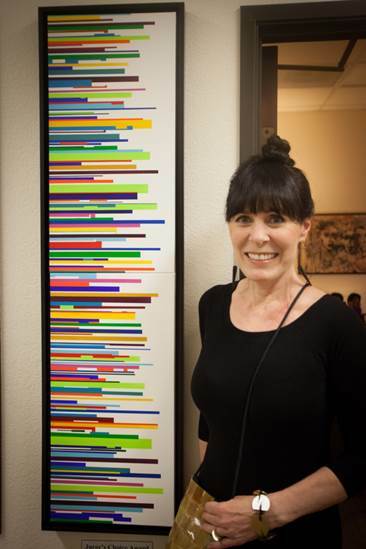 Art at the JCC is a program of the Jewish Federation of Greater Santa Barbara. 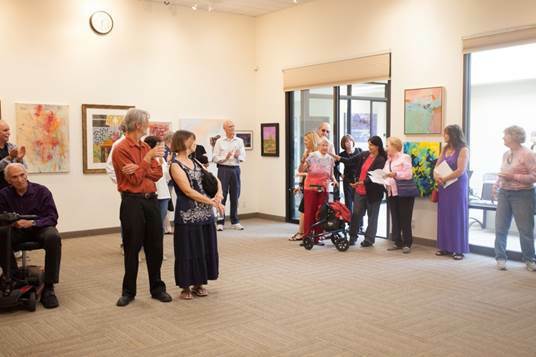 Through its exhibition and outreach programs, Art at the JCC honors and shares the universality of Jewish values, history and culture through various forms of artistic expression. 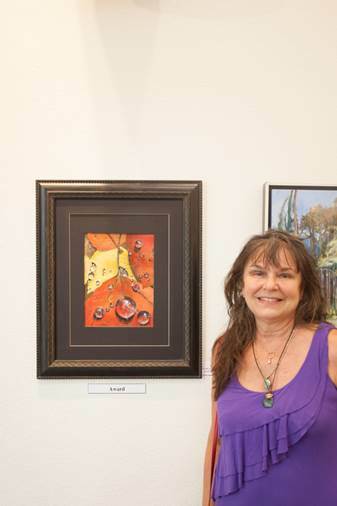 The purpose of Art at the JCC is to provide Central Coast and other artists from all disciplines the opportunity to bring their work to the Santa Barbara community. Because art is a universal language, our programs will cross all boundaries of religion, race, gender and age, and strive to maintain communication. Its mission is to promote identification and connectedness to the Jewish community and the community at large.